Dr Dass is an expert at treating facial melasma. Melasma is a syndrome of facial hyperpigmentation related to increased melanocyte activity and increased melanin production, often seen in women during the hormonal changes associated with pregnancy. 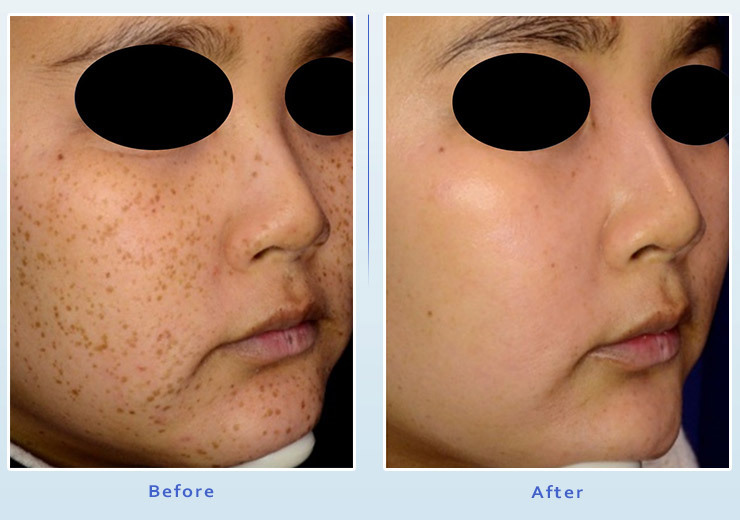 The “mask of melasma” often resolves after delivery, but in some cases may continue to be present. The typical presentation is dark spots or patches over the central face, but may also extend to the forehead and cheeks. This is an embarrassing problem that requires a very thick layer of makeup to conceal. Melasma is a difficult problem to treat and may require multiple different strategies, including topical bleaching agents, chemical peels, and laser treatments. 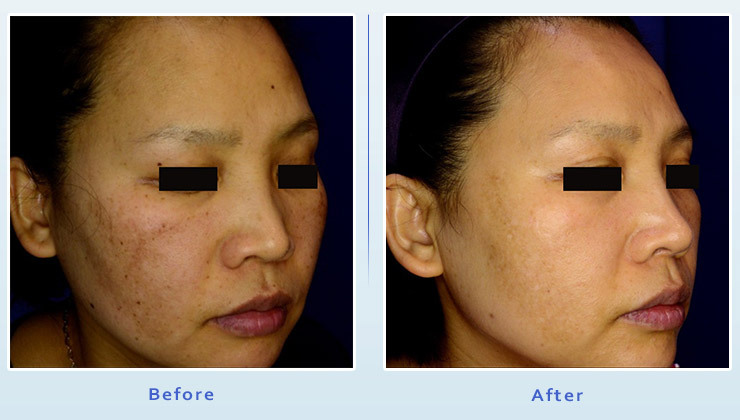 We have been quite successful at treating melasma with the Picosure laser. The Picosure laser is a 755nm Alexandrite laser that penetrates to the deep layer of the dermis. This laser specifically targets pigment, including melanin and melanocytes. 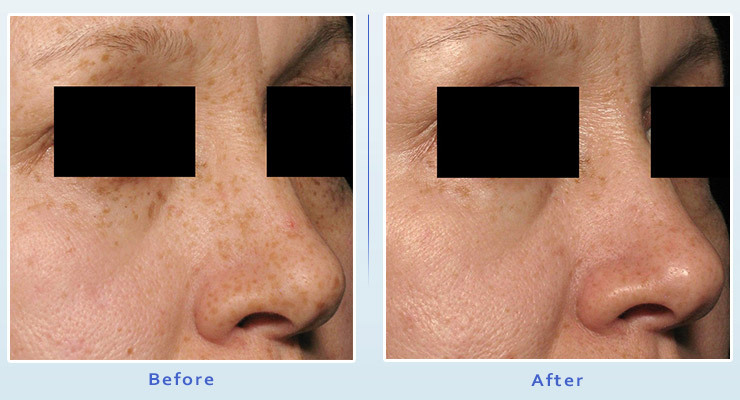 The laser is gentle to the outer layer of skin and does not ablate or burn off the outer layer of skin. This is a quick procedure with minimal discomfort, and with minimal downtime. Your skin will be red for the remainder of the day, and will be nearly back to normal the next day. You will require 3-4 treatments about 3-4 weeks apart. 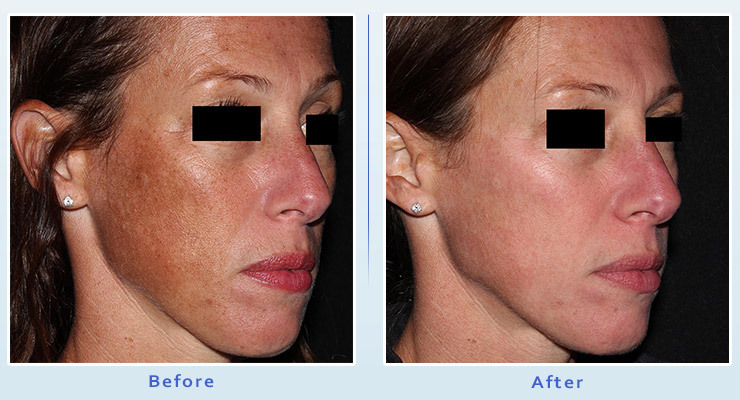 Chemical peels can also used to improve the uneven pigmentation. These are done in the office and are well tolerated. The downtime is a little bit longer with chemical peels. Often the skin will be red for a couple of days, and the entire outer layer of skin will peel, revealing a refreshed layer of skin underneath. You will also require about 3-4 treatments about 4-5 weeks apart for optimal results. Topical bleaching agents are necessary to improve pigmentation and suppress melanocyte activity to prevent recurrence of hyperpigmentation. These agents will need to be used on a daily basis, before, between, and after the above treatments. Sun exposure activates melanocyte activity and hence melanin deposition in the skin. So, it is paramount to avoid sun exposure for optimal results. We also recommend daily use of a sun block to protect the skin with an SPF 30 or better. Are laser facial treatments safe for Beverly Hills, CA area patients?